Scott Sauls has become a favorite voice of mine to read. I especially enjoyed his book, Befriended, so at the opportunity to read Irresistible Faith, I jumped. His voice and this book are very timely in my opinion. The basics of the Christian faith are important and Scott clearly lays those out here in his book, but not only does he want the reader to understand they are important, he wants the reader to understand they are important because it was what made the Gospel contagious and allowed it to spread in the early church. When Christians are restorative, rather than judgmental, they point people to Jesus. This invites people to a relationship not religion. This book is honest, authentic and the writing is from a place of authenticity, which I can appreciate. Overall, I highly enjoyed this book and know that you will too. 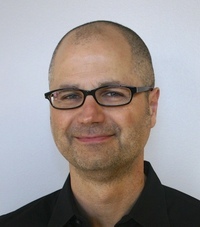 Scott Sauls serves as senior pastor of Christ Presbyterian Church in Nashville, Tennessee where he lives with his wife Patti and two daughters, Abby and Ellie. Previously, he was a lead and preaching pastor for Redeemer Presbyterian Church in New York City, where he worked alongside Dr. Timothy Keller. Scott has also planted churches in Kansas City and St. Louis and is a frequent speaker at conferences, leadership retreats, and to university students. He writes weekly on his blog at scottsauls.com and can also be found on Twitter at @scottsauls.